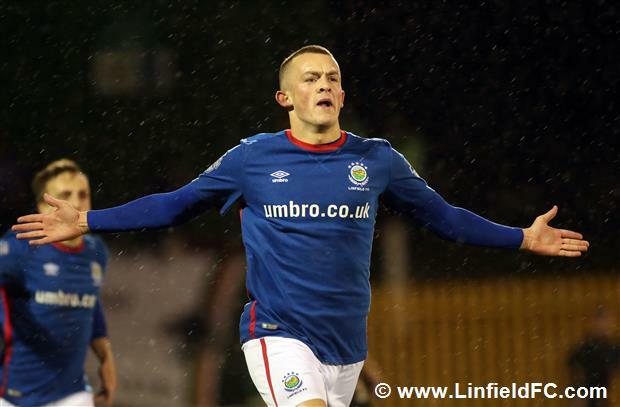 The Sky cameras rolled into town for the first ‘Big Two’ derby of the season as Linfield made the short trip to East Belfast hoping to preserve their unbeaten start to the league campaign, and they were met by a sizeable, loyal away support on a miserable, wet and windy night when they could have sat in the warmth of their homes to watch it. 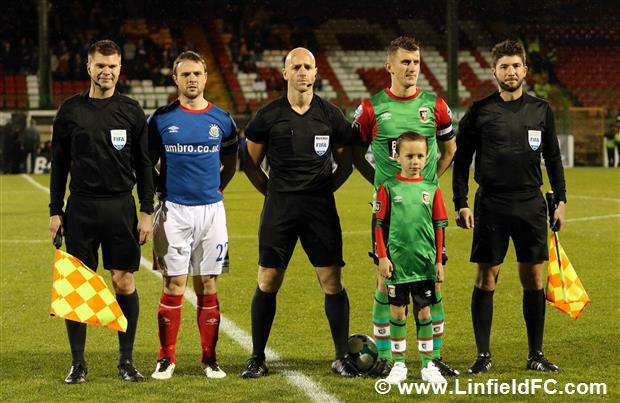 The Linfield team were out to send the fans home with the bragging rights but Chris Casement was missing from the team sheet. 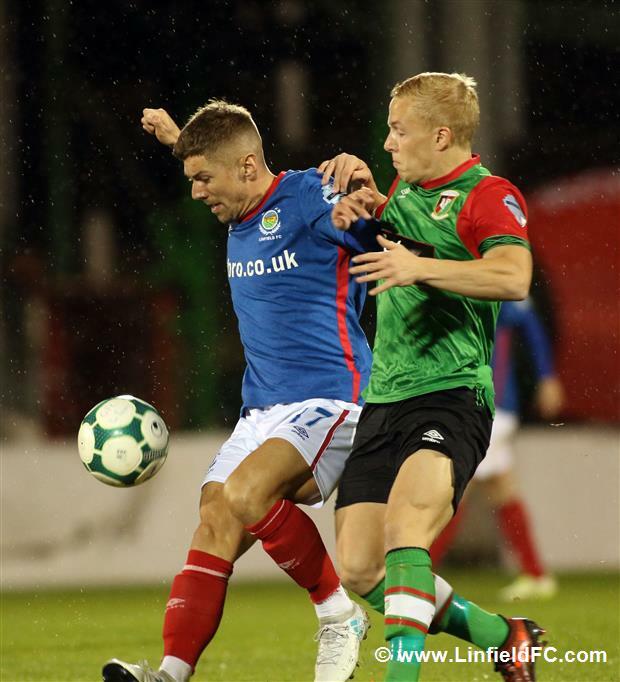 As a result, David Healy asked Andrew Mitchell to slot into right back whilst Robert Garrett filled the midfield void. 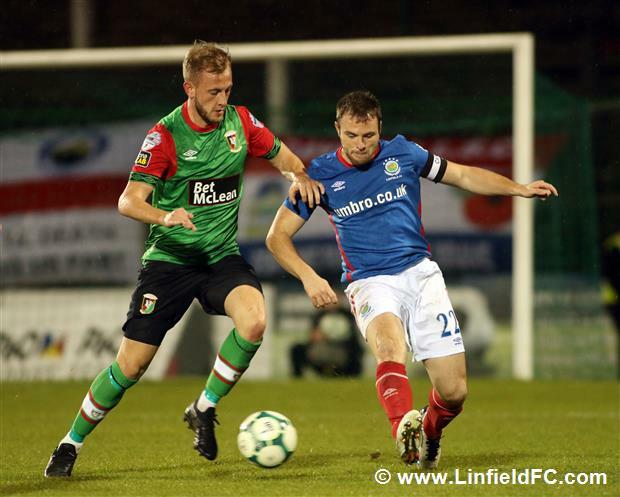 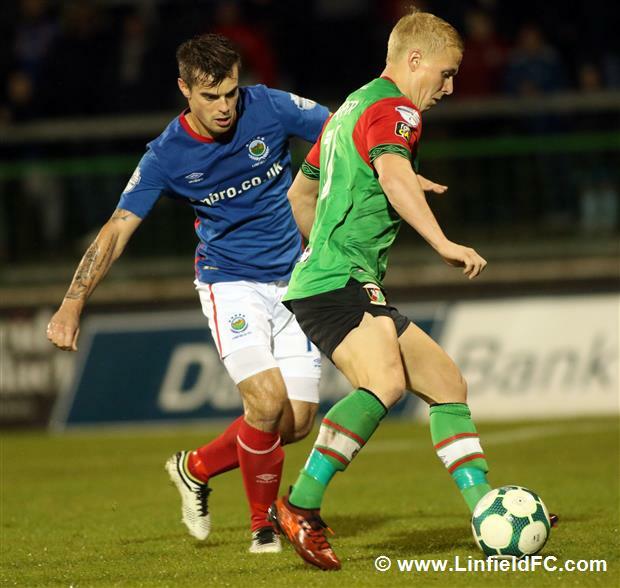 The Glens had the first chance of the game after nine minutes at a windswept Oval when John Herron latched onto a loose ball inside the Linfield box as the Blues failed to clear Ross Redman’s corner. 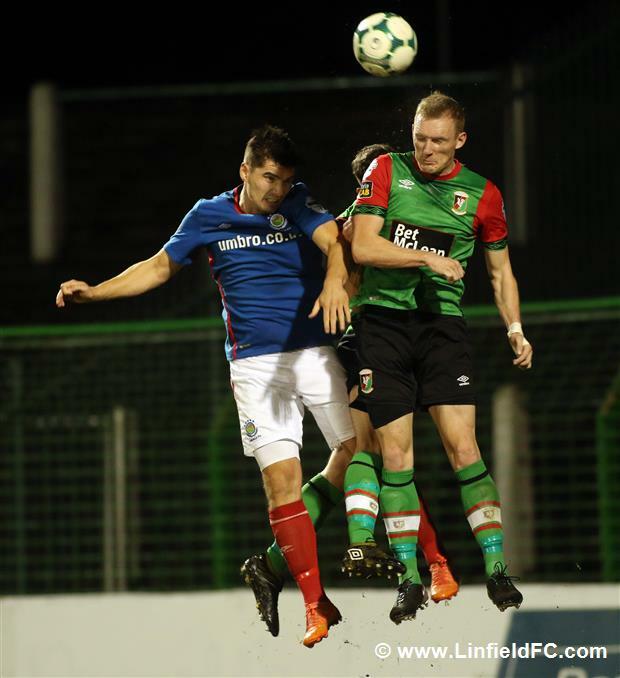 With his back to goal the midfielder improvised with an overhead kick effort but it was straight at Roy Carroll. 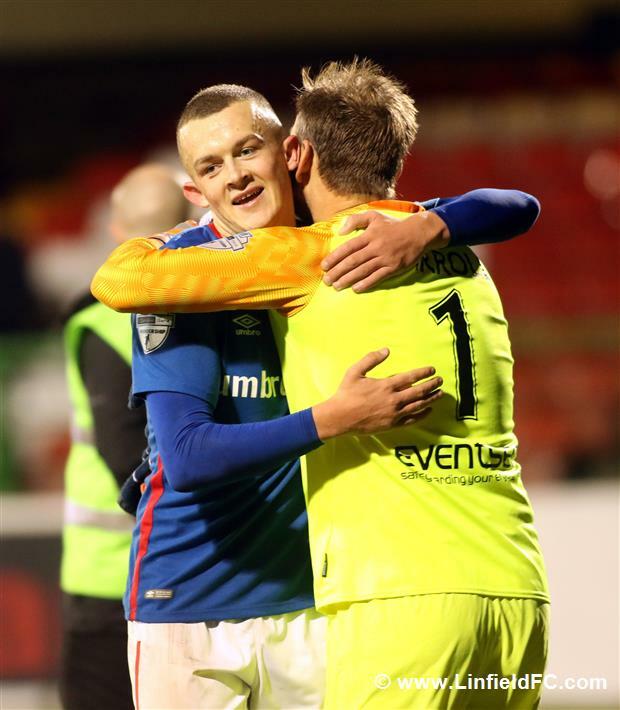 Linfield broke the deadlock on 15 minutes and it was Dundalk native Michael O’Connor who found the net on his ‘Big Two’ debut. 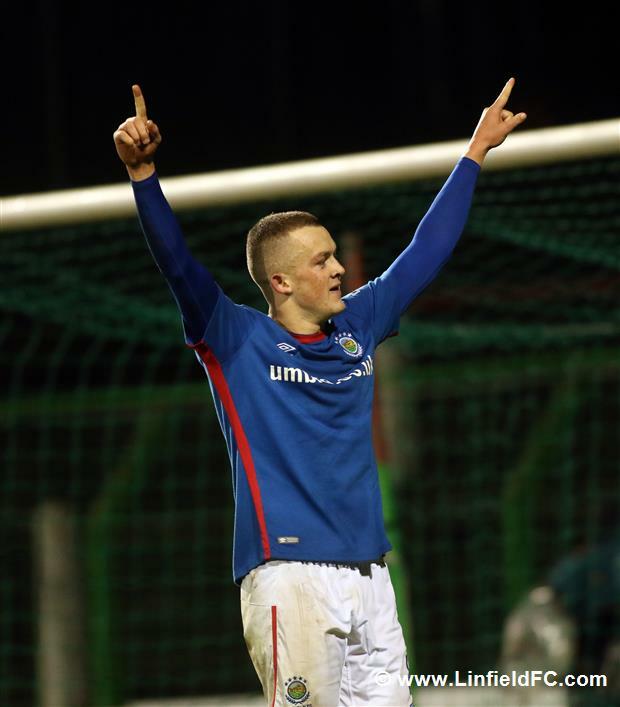 Massive credit will go to Joel Cooper for his part in the goal and rightly so. 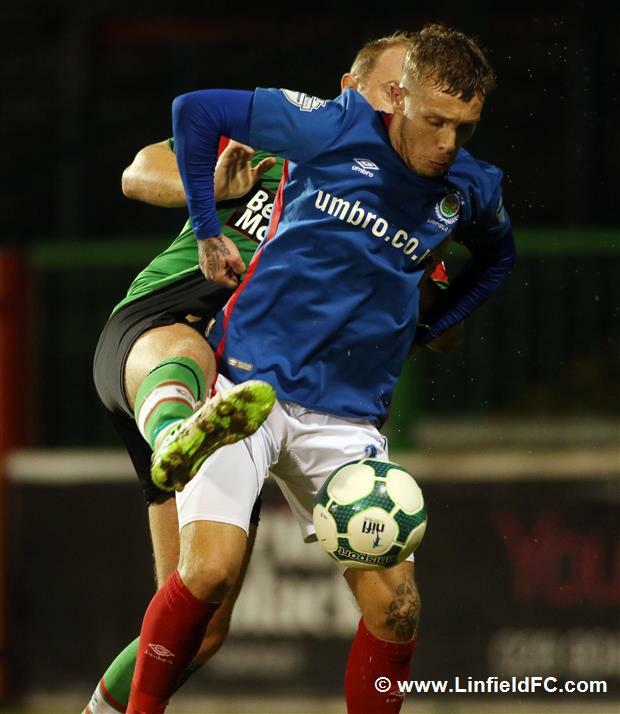 The former Glenavon winger picked up possession thirty yards from goal before turning the Glenmen inside out, then he slipped it to O’Connor who fired the ball hard and low into the net. 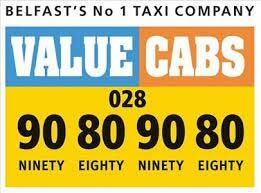 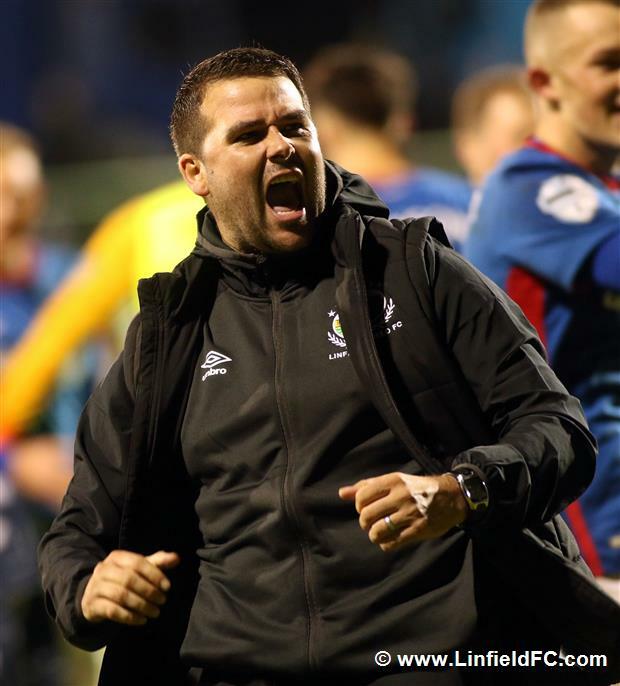 An expert finish from a man who is quickly making himself a popular figure at Windsor Park. 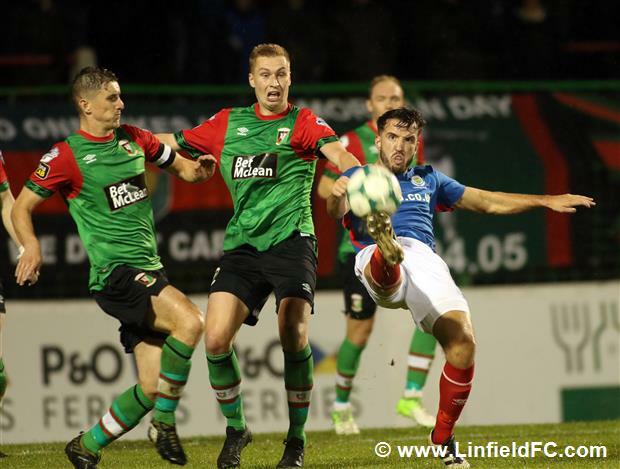 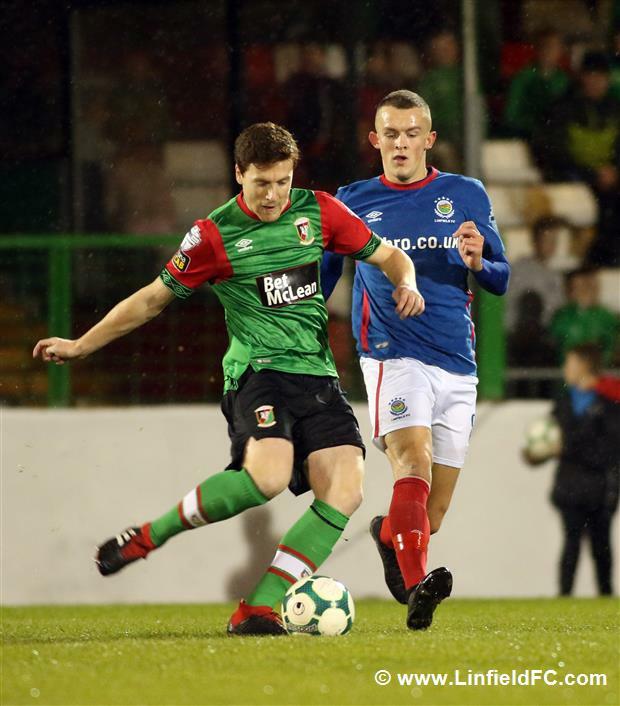 A strong breeze was causing both teams some problems and it almost helped Linfield to a second when Kirk Millar’s corner had to be cleared off the line at the back post after the ball swirled all the way through and past Elliott Morris in the Glentoran goal. 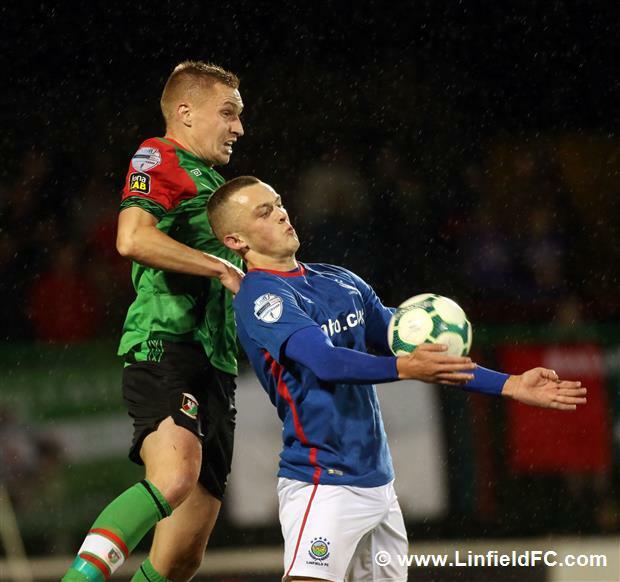 Other than that, the first half was fairly quiet in terms of chances, with the wind across East Belfast making it challenging for both teams to get the ball down and get into any sort of rhythm. 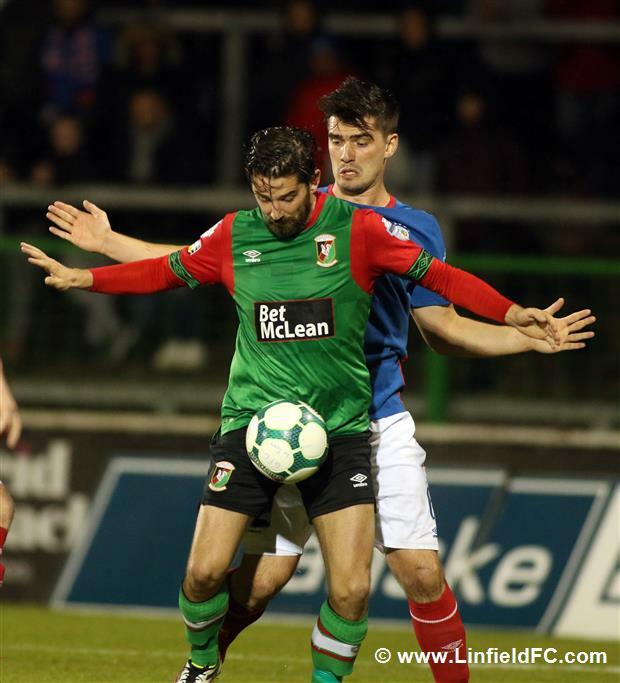 Glentoran came into the second half with renewed vigour but Curtis Allen was unable to hit the target when he found a free header from Ross Redman’s cross, with his effort sailing harmlessly over the crossbar. 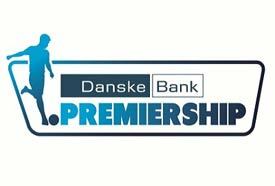 The Glens came even closer to an equaliser moments later when Willie Garrett headed a whisker past the post from Redman’s corner, with the Glenmen thinking it was heading in for a split second. 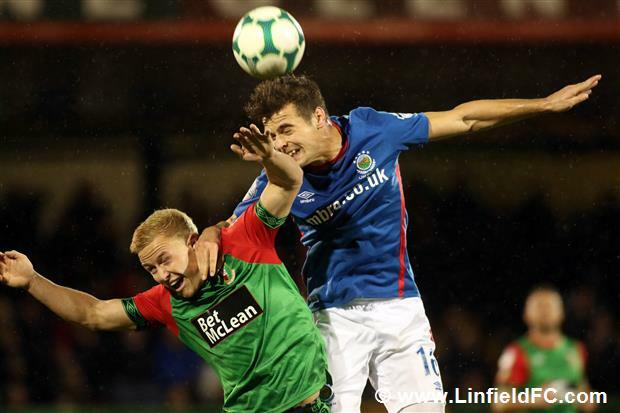 Niall Quinn came off the bench to replace Joel Cooper who’d picked up a knock and the left sided technician almost teed up a second for Linfield. 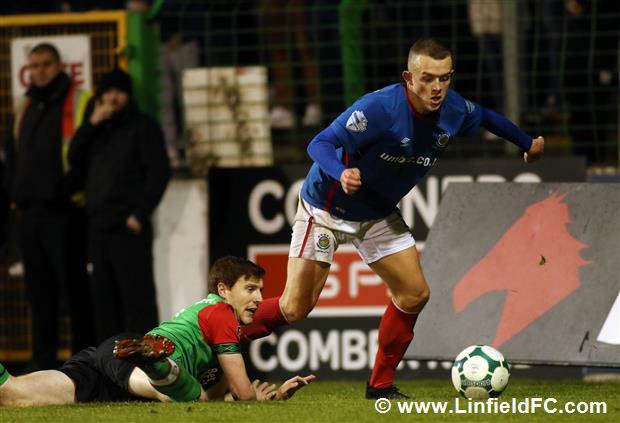 He fired in a tempting cross of real quality by the stretching Michael O’Connor couldn’t quite get on the end of it. 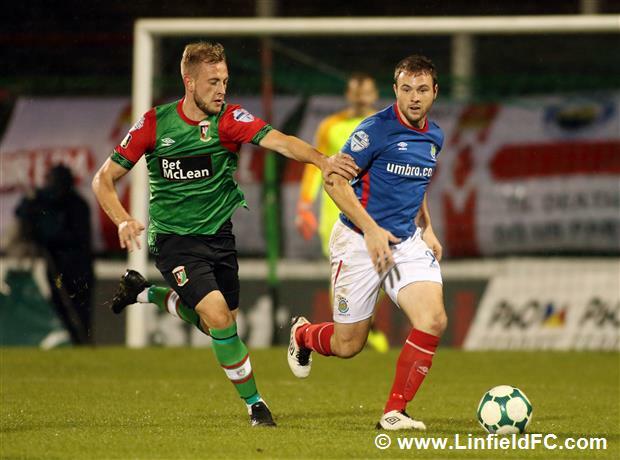 Robert Garrett also had a chance 20 minutes from time when he stormed into the box but he poked his effort wide. 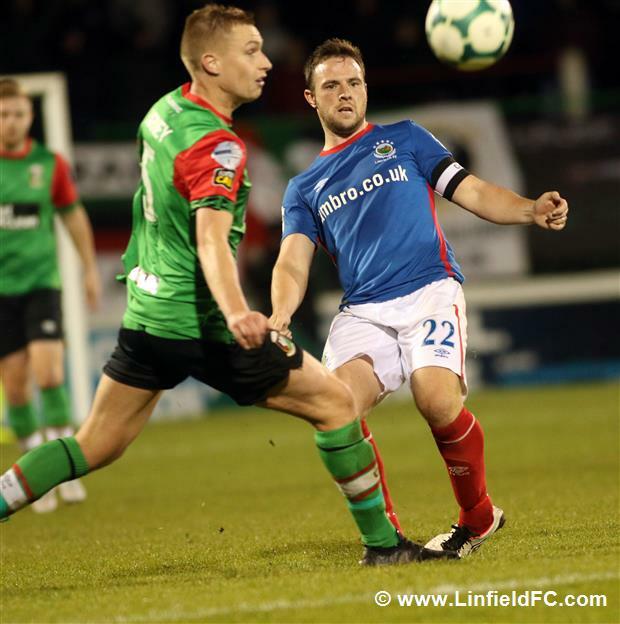 Kirk Millar almost scored a freak second goal with an instinctive flick from the edge of the box but the ball hit the crossbar with Morris scrambling and looking uneasy. 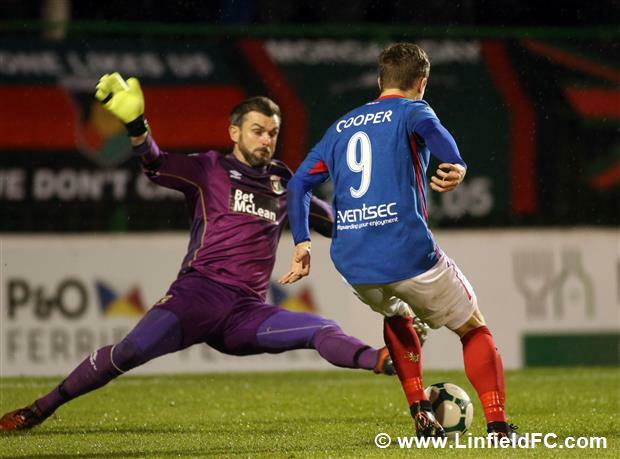 Roy Carroll then made himself big to deny Marcus Kane up the other end. 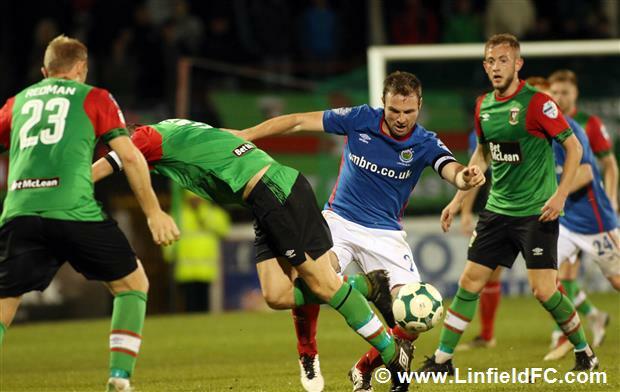 The defender leapt well to meet Redman’s corner but Carroll stood tall and pushed the ball away from goal. 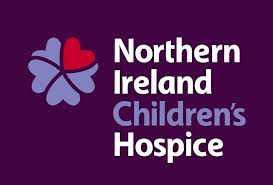 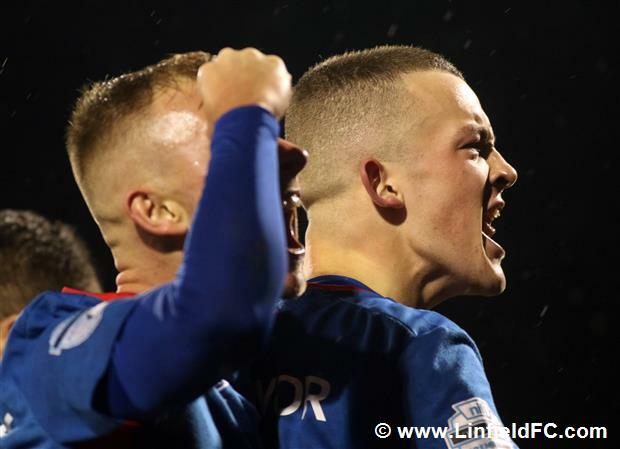 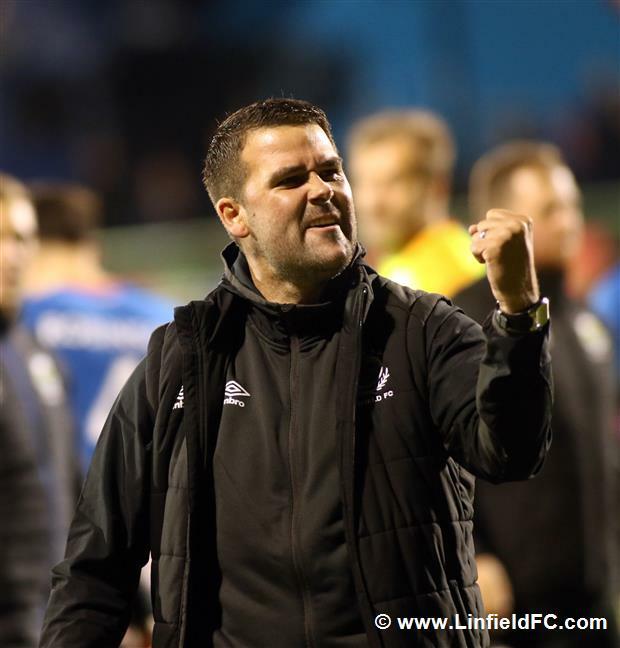 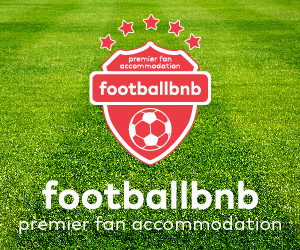 Linfield were able to hold on for their 1-0 victory and although the match was far from a classic, the main thing was winning the derby and this will mean a lot to everyone associated with the football club after the derby disappointments of last season.